Welcome to war on a new scale, where combat is up close, personal, and decisive. 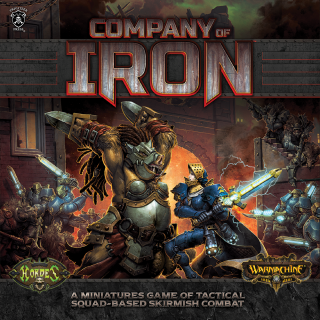 Here, battles are fought by just a few worthy warriors in brutal and unforgiving squad-on-squad skirmishes in which every soldier is a hero and every shot counts. 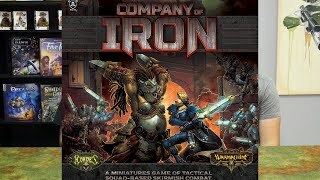 Company of Iron is an exciting new way to wage war in the world of WARMACHINE® and HORDES®. You’ll command a small squad of dedicated warriors and elite champions in a game of fast and furious battlefield action. Increase the combat prowess of your commander with unique upgrade cards and take advantage of powerful battle plan cards for greater tactical options. Small squad size and alternating activations keep skirmishes quick and compelling! 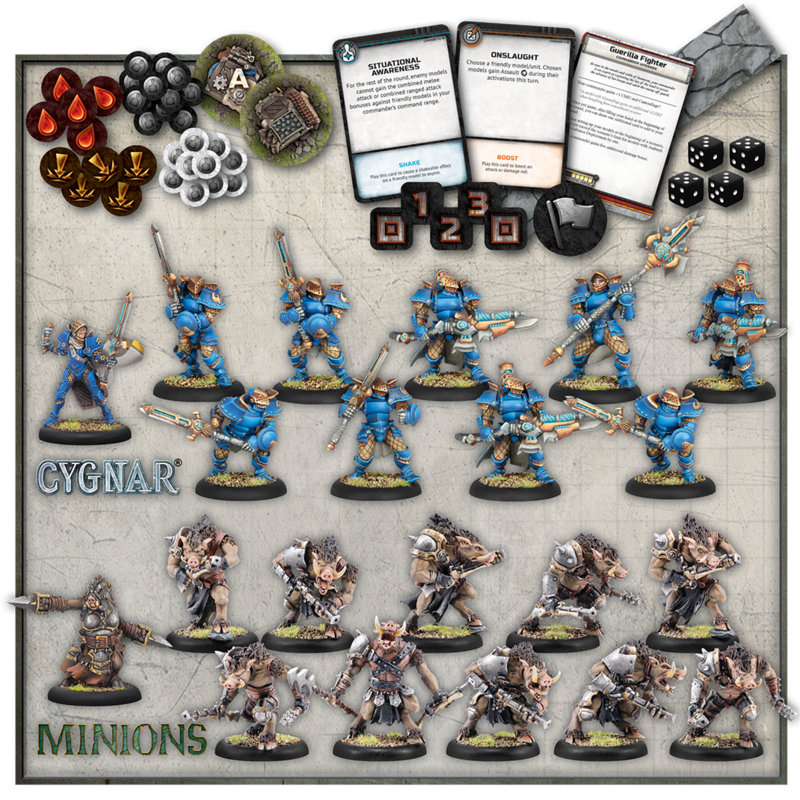 With this Company of Iron starter box, you can choose to control the powerful storm technology of Cygnar’s Stormblades or harness a savage band of farrow brigands. Then expand your chosen force or forge your own Company of Iron from among the expansive range of available WARMACHINE and HORDES models. Submitted by Miniset on 22 September, 2017 - 10:27 (286592). 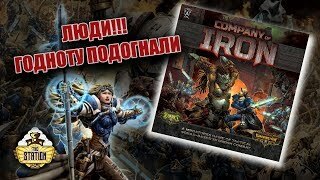 Found ebay links Searching for "company iron warmachine"
https://THESTATION.RU/ - НАШ САЙТ! ЕЖЕДНЕВНЫЕ ВЫПУСКИ! - наш паблик в ВК! 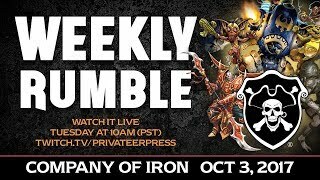 Unboxing Privateer Press new skirmish game, Company of Iron, set in the universe of Warmachine and Hordes. Will be looking into make painting videos and battle reports in the future. 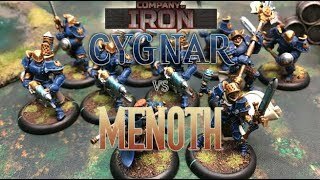 Owen from Gaming with the Cooler brings his Menoth with Dartan Vilmon and Roven to face Gwen Keller and the Cygnarans in 'Contested Ground'! 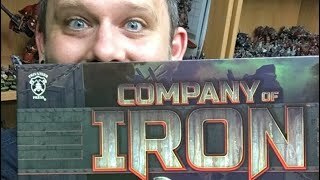 I unbox and review the Company of iron box set. 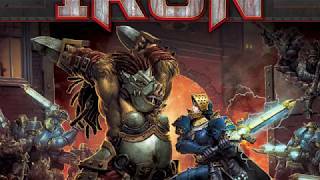 We sit down and take a look at the new skirmish game from Privateer Press! 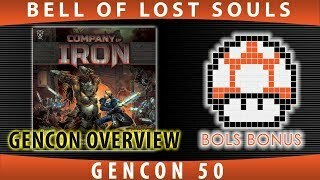 We cover basic rules, differences from Warmachine/Hordes and some highlights of our favorite parts. Join Privateer Press and special guests every Tuesday for the WEEKLY RUMBLE! 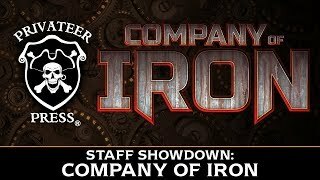 Privateer Press was kind enough to send me a copy of Company of Iron for you guys to check out! Let’s have a look together as I inbox it in the studio. The BoLS Crew hangs out with Privateer Press' Oz and talks about the Company of Iron! 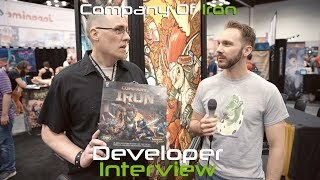 The TechRaptor crew spent some time with Will “Oz” Schoonover of Privateer Press to talk about the upcoming Company of Iron, their miniatures subscription box, and more.